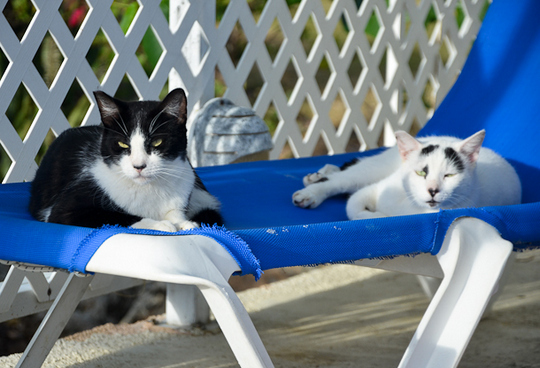 Traveling cats spotted on Maho Beach, St Martin. Pawsome beach cats. Have a marvellous Monday. What a good looking pair. I so envy them for being able to just spend time relaxing in the sun.